Global Centre for Modern Ageing chief executive officer Julianne Parkinson. A journey has begun to reverse the view that becoming older is an economic and social burden. Instead, growing older should be valued differently - as an age of opportunity. From the moment we’re born we are ageing. We are pleased to be at the cutting edge of a movement creating a new narrative about ageing. It is a narrative which shatters the old paradigm and its myths about older people being out of touch and less able or interested in contributing. It is a new narrative where hidden and lost talents are discovered, re-discovered and cultivated and where curious businesses will accelerate new and better products and services by focusing on the needs and wants of people to age well in their own way. LifeLab, the living laboratory division of the Global Centre for Modern Ageing has been formed to assist businesses in developing those products and services. The Centre engages older people in a co-design process to create the best possible development pathway. The Centre is also leading a Modern Ageing Alliance which brings together organisations keen to advance the interests of older people. This is a social and economic movement that continues to gain momentum. IBM's Terry Sweeney, Global Centre for Modern Ageing deputy chair Anne Skipper, editor-in-chief of Better Homes and Gardens Julia Zaetta, South Australian Premier Steven Marshall and centre chair Raymond Spencer. Speaking at the launch in November 2018, South Australian Premier Steven Marshall said a major shift was taking place in the way people live as they grow older. Mr Marshall said people should be able to live purposeful lives in ways of their own choosing. “Modern ageing is a recognition that personal plans and aspirations don’t come to a sudden halt at the age of 65, a recognition that ageing presents an opportunity not a threat,” he said. Mr Marshall said his Government was proud to support the centre which was established with seed funding from the State. He also acknowledged the role of his predecessor, Jay Weatherill, in having the foresight to back the centre. Mr Marshall expected the Global Centre for Modern Ageing to play a leading role in assisting business to realise the opportunities of increasing numbers of older people. Opportunities extended to all generations and across sectors. Global Centre for Modern Ageing chair Raymond Spencer said the new narrative and the Centre’s work with businesses and older people would have a broad effect. “The social impact that will come in empowering and supporting people in their 60s, 70s, 80s, 90s and beyond through the transition of the full life’s course will not only allow us to tap into this most powerful asset but, in fact, it will create a better place to live for South Australians of all generations,” he said. “The economic aspect of this goes far beyond the jobs that exist in the traditional aged care industry. Co-designer Vicki Jarnis, LifeLab project client John Carragher, Global Centre for Modern Ageing board member Göran Roos and LifeLab executive director Veera Mustonen. South Australian Premier Steven Marshall and Global Centre for Modern Ageing deputy chair Anne Skipper. The David Black musicians entertained the crowd. 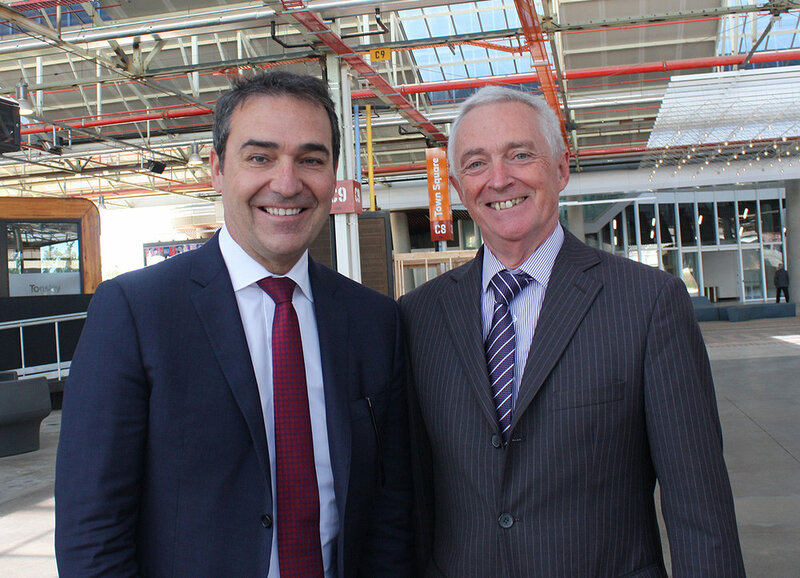 South Australian Premier Steven Marshall and Tonsley Innovation District steering committee chair Terry Burgess. Will Rischbieth of Will Ride demonstrates his e-bikes. Newer PostWhat is Modern Ageing?